You will be glad to know, as I was, that the ninth edition (90,000 copies) of my little book Vocations is rapidly being exhausted. 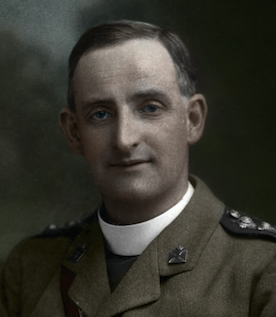 After my ordination, when I began to be consulted on this important subject, I was struck by the fact that there was nothing one could put into the hands of boys and girls to help them to a decision, except ponderous volumes, which they would scarcely read. Even the little treatise by St. Liguori which Fr. Charles gave me during my first visit to Tullabeg, and which changed the whole current of my thoughts, was out of print. I realized the want for some time; but one evening as I walked back to the train after dining with you, the thought of the absolute necessity for such a book seized me so strongly, (I could almost point out the exact spot on the road), that there and then I made up my mind to persuade someone to write it, for I never dreamt of even attempting the task myself. I remember well when the MSS. — which does not stand for ‘ Mrs ‘ as Brother Frank Hegarty read out once in Clongowes: ‘St. Jerome went off to Palestine carrying his Missus’ — had passed the censors to my great surprise, the venerable manager of the Messenger Office began shaking his head over the prospect of its selling, for as he said with truth, “It is a subject which appeals to a limited few.” He decided to print 5,000, and hinted I might buy them all myself! Then when the pamphlet began to sell and orders to come in fast, I began to entertain the wild hope that by the time I reached the stage of two crutches and a long white beard, I might possibly see the 100,000 mark reached. We are nearly at that now without any pushing or advertising, and I hope the crutches and flowing beard are still a long way off. God is good, is He not? As the second edition came out only in the beginning of 1914 the sale has been extra ordinarily rapid. It is consoling from time to time to receive letters from convents or religious houses, saying that some novice had come to them chiefly through reading Vocations; for undoubtedly there are many splendid soldiers lost to Christ’s army for the want of a little help and encouragement. . . . A welcome gift from a benefactor, not a benefactress this time, has just reached me in the shape of a donation of £3 to distribute a thousand free copies of Vocations. The donor believes that if one cannot oneself volunteer for the war, the next best thing is to try to get someone else to do so. One never can tell into what generous heart the good seed may fall, or the number of souls that possibly may be saved by this distribution. May God bless him and send along a thousand more imitators, for “the harvest is great and the labourers few” said our Blessed Lord, and He ought to know! COMMENT: This is the text of the second last letter Fr Doyle ever wrote. 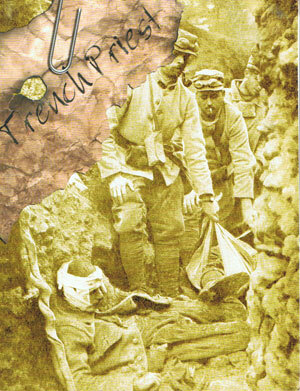 It was written from the trenches on 25 July, 1917, about 3 weeks before his death. 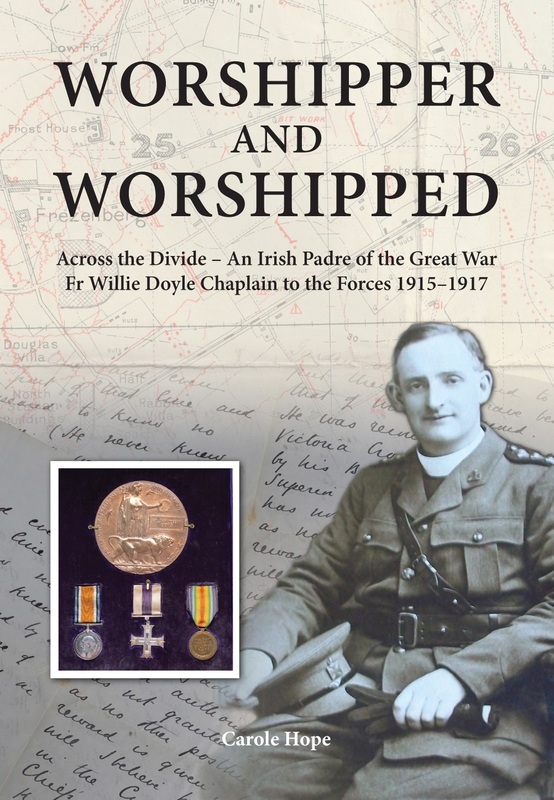 It was written to Fr Doyle’s father and the title “Bits and scraps for an old man’s breakfast” was written on top. I chose this letter for today’s quote as Fr Doyle’s father’s anniversary is this week (in fact it was yesterday, March 28). Hugh Doyle died on this day in 1924 at the ripe old age of 92. Fr Doyle clearly had a close relationship with his father. 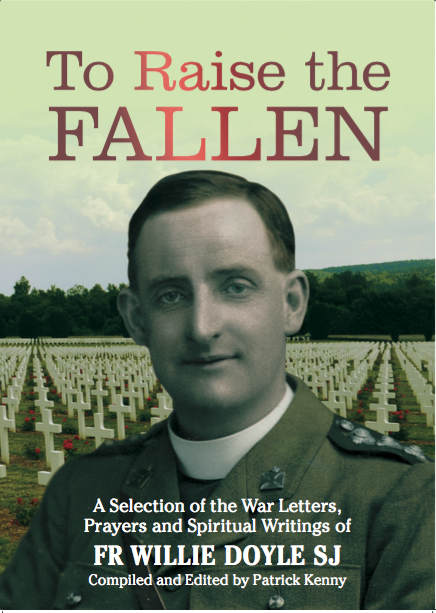 It is due to this relationship that we know so much about his experiences in the war as he wrote many letters home to his father. He clearly missed his father and wanted to reassure him that all was well. One of the striking characteristics of his letters to his father was their remarkable cheerfulness. Here he is, surrounded by death and squalor, including in his letter the charming story of St Jerome’s missus! We see this tendency in many of Fr Doyle’s letters to his father. 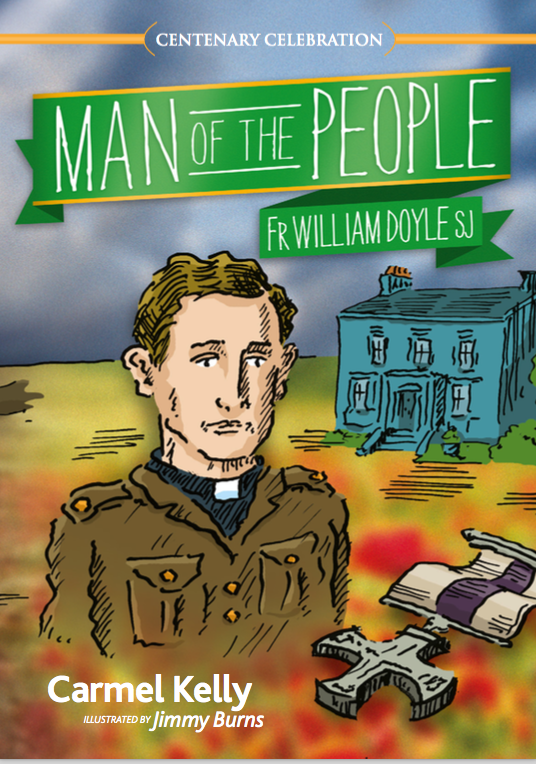 It illustrates Fr Doyle’s own virtue and concern for others, as well as his filial love. There is one further charming story about Hugh Doyle. One night in 1922 (he would have been 89 or 90) he was disturbed by a burglar who made him get up and open all of the drawers. 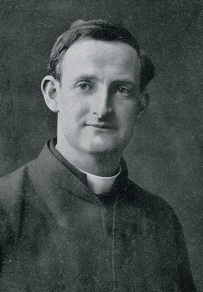 As he was ransacking the drawers he came across a photo of Fr Doyle who had been dead for 5 years at this stage. The burglar became excited and asked who it was. 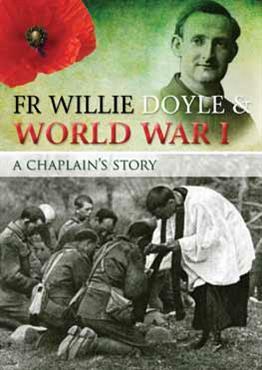 Fr Doyle said that it was his son who had given his life for the soldiers in Flanders. The robber responded by saying “That was a holy priest, he saved many souls”. He then took the card, kissed it, put it in his pocket, and left the house!